What next in the equine flu outbreak? The British Horseracing Authority has issued a release attempting to answer the key questions regarding the recent outbreak of equine influenza. 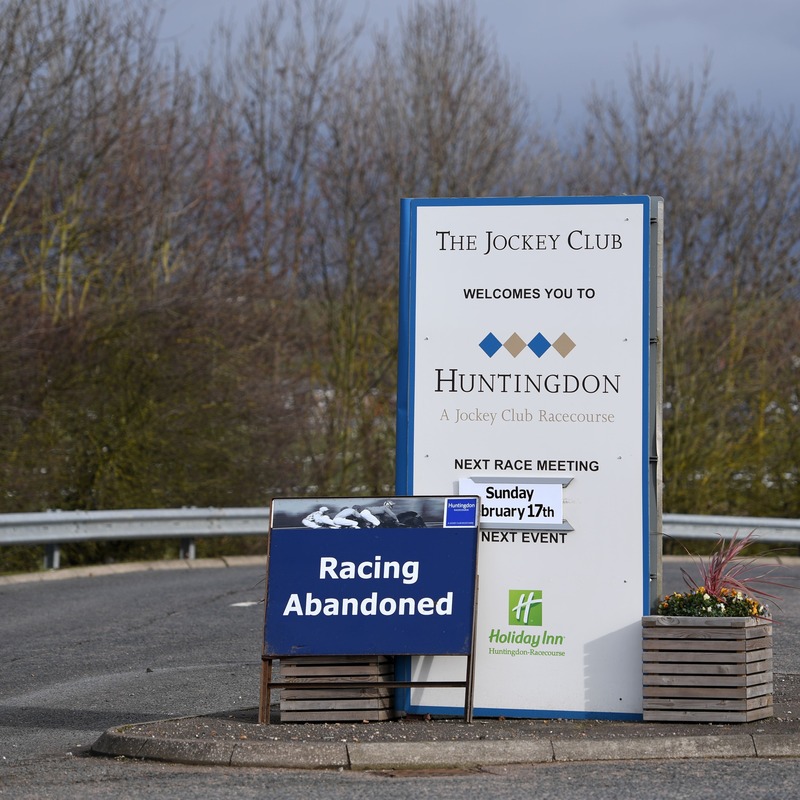 All racing in Britain was cancelled on Thursday after it was announced horses at a yard, believed to be that of Donald McCain, had runners at Ayr and Ludlow on Monday. It is a requirement that all racehorses be vaccinated against flu, as this is an important barrier preventing spread of the virus and will mitigate the impact. However, the presence of the virus in vaccinated horses demonstrates that it is not completely effective against this strain. What is the treatment for infected horses? We are working to identify the most likely source of the outbreak, but we have not confirmed this yet. We expect there is a link between this outbreak and other recent outbreaks elsewhere in Europe. We first became aware of the European outbreak in December 2018, and notices were issued by the BHA in relation to this. Trainers were advised to vaccinate any horses which had not been vaccinated in the previous six months and were reminded of the appropriate biosecurity precautions. This is a wider horse population issue, not a racing specific one. Equine influenza is endemic in the UK. While the racehorse population is vaccinated, and owners of other horses often choose to vaccinate their horses, up to 70% of horses in UK may be unvaccinated. Stopping movement of foreign horses would therefore be unlikely to prevent spread of disease in this country. While racehorses do not generally mix with other horses in their stables or on racecourses, situations inevitably arise where they may come into contact with unvaccinated horses. Trainers whose horses may have come into contact with affected horses will be contacted today and will need to quarantine all horses in the yard. This means that these horses must have no contact with any other equines (eg separate lots on gallops) until restrictions are lifted. This is likely to be until samples have been taken from horses and negative test results received. The first step was to call off racing. We have also stopped some Irish horses from returning home after racing in Britain on February 6. These horses are now in quarantine. We have put restrictions in place on horses from yards likely to have been in contact with horses from affected yards. Testing of all horses on stopped yards is taking place, funded by the Levy Board. What is your advice to trainers? We will issue a further update on racing fixtures as soon as possible. For fixtures on Friday February 8, and the weekend of February 9-10, we expect to provide an update this evening (February 7). Have you been in contact with DEFRA/Welsh/Scottish governments? What is their role in managing this outbreak? We’re not going to identify any specific yard affected, but we did need to confirm at the earliest opportunity that the yard concerned had runners at Ayr and Ludlow on Wednesday February 6, and/or at Wolverhampton on Monday February 4, so that other trainers could take appropriate action immediately. However, we wish to emphasise that horses in the affected yard had been vaccinated. A cough and nasal discharge are common respiratory signs seen in horses, and the majority of cases would not be equine influenza. Under rules, trainers are not required to report these symptoms and therefore movement is not stopped until we are aware there is a confirmed influenza result. The decision to stop racing was made within hours of the confirmed outbreak on February 6.